Founder – HIS Word is Alive! Did you know that the Bible that we hold in our very hands is alive!? Capable of transforming our lives, changing our hearts, renewing our minds and telling us what we are thinking and intending to do? Yeah, God’s Word can do all this and much much more. It’s God’s Spirit, part of Him and it is alive doing what God intends for it to do. God says, it (His Word) will accomplish what He sends it to do. This doesn’t sound like just some words typed on a piece of parchment, does it? It is a living entity capable of activity and purpose. The Apostle Paul penned that God’s Word is alive and active! Do you mean alive and active right here, right now, today? That is exactly what I mean. It’s God’s Spirit and when we read and speak His Word aloud we activate it! 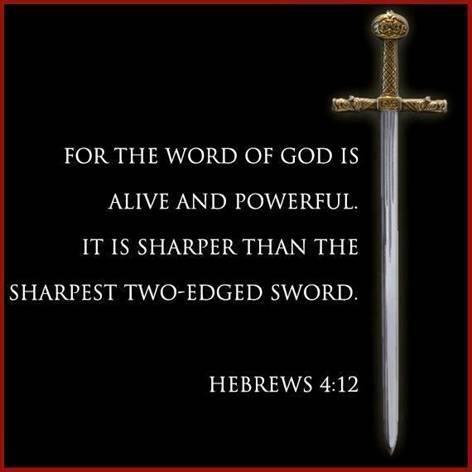 We learn that God’s Word is associated with a double-edged sword, sharper than any other blade known to man. God’s Word can penetrate down into places that no lifetime warrantied chef’s knife, no surgeon’s scalpel or even a laser beam can reach. No man made instrument can penetrate down in between our spirit, soul and body, where the battle is taking place. As the Soul (our mind and heart what I like to call our thinker and our feeler intentions and will) Battles to align itself with either the godly part of you, the Spirit, or the worldly part, the flesh, it needs help! The Word of God was designed to help us discern right from wrong, Godly from ungodly. To help educate us, transform and renew us (Romans 12:2) into the Godly or Christ-like men and women we were intended to be. Have you ever been at a church service or watched a minister on TV and felt like the words being spoken seemed customized for your life? Has the exact problem that is happening in your life being touched on by the minister? Then later when you shared with someone who sat in the same service and received the same sermon, they told you how the message was just what they needed in their life? God’s word is living and powerful, active and alive! When we take note that this piece of God’s Word is believed to be written by Apostle Paul, inspired by God around the year 62 to 64 AD; that is 1,951 years ago and yet His Holy Word is still discerning the intentions and thoughts of men and women believers today! That’s amazing! This Book was written two millennia ago, reads my mind and knows what I intend to do and then helps me make the right decision! Whoa! Do you, does anybody know of another book capable of this miraculous feat? The Bible is God’s living, breathing, spoken Word, it is alive and it will not return to Him void. It transforms us and renews us just like He said it would every day. The more we ingest God’s Word – the more His Word is able to perform what he set out for it to do – transform us into the vessel He needs us to be for His purposes. For decades nothing changed in my Christian walk, year after agonizing year, failure after failure decorated the story of my life as I looked on baffled at the Godly glow of other believers. I didn’t understand why those people had God’s favor to succeed in Him and draw closer to Him while I remained stagnant and often times moving in reverse, drifting back into the gravitational pull of the world. I couldn’t figure out what was different about their walk vs. mine. I attended church and prayed to God with all my problems, needs, wants and praised God just like they did – why wasn’t I being transformed into that Christ-like vessel for God!?!? It wasn’t until a fellow Christian Brother first asked me to attend a Bible Study and soon following asked me to facilitate one that it hit me. One crucial thing that I had never done before – open my Bible and begin to study it! I had never asked the Holy Spirit to help me understand all these parables and the message that God was trying to speak personally to me! My eyes, ears and heart began to open to God’s Living Word and the Words began to speak to my spirit bringing understanding – Holy Spirit revelation!! There was no getting around it, no amount of prayer and visiting church once a week was going to do. I had to dive head first into His Word and find out what God’s Word was really all about and I had to do it fast, my brothers in Christ were counting on me. This task was enormous! The question came to mind, “How do you eat an elephant?” I quickly learned, one bite at a time! Every single morning I woke up I had no clue as to what I would share at our Bible Study Group but I knew I had to come up with something and it had to be right! I prayed for God’s Holy Spirit to help me and guide me and reveal the message He wanted me to discover and share. I must of wrote a new Bible Study every day for four months straight while God’s Word began to shape my life as I learned, studied and meditated on it. I began attending church 5-8 times a week and soaking in His Word. I received mentors of God’s Word – Chaplains @ Harris County Jail (Broussard, Rose, Ward and Mike Barber) along with my fiancé (at the time), now my wife. They poured into me and I grew even more! This intense time matured me in His Word and taught me who my Father God and Jesus Christ (His son, my savior) are and how much they love me. Since that time God has continued to mature me and grow ever stronger in my life. God has birthed a ministry in me and my wife to share His Word and all that He reveals (as He tells us to) with others. 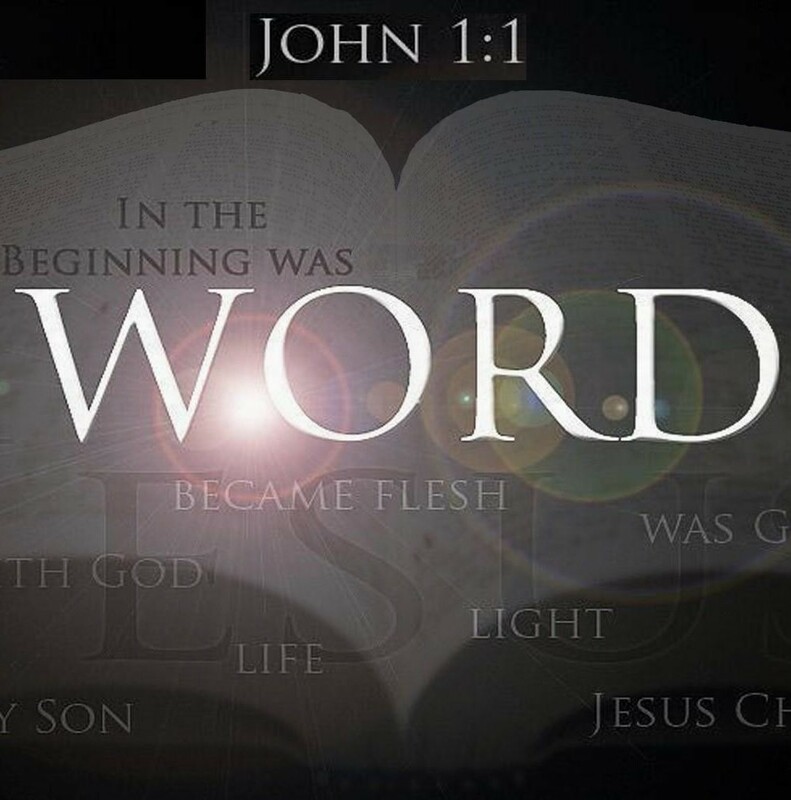 The transformation did not begin until I did one thing…Open the Living and Active Word of God and begin to study it! This is why God gave The Bible to us and there is No Substitute for it! The Word of God is Alive and Active – God is waiting for us to open up the greatest present ever given to His Children, His Holy Word, His Very Spirit. Let God’s Word begin to shape, transform and renew your life today. Open God’s Word and discover all the love and promises He has for you today! This entry was posted in Freedom, Rebuilding, Testimonies and tagged Bible, Bible Study, God, Holy Spirit. Bookmark the permalink. 1 Response to Founder – HIS Word is Alive!